Like the crunch of helmets in football signals a brain-damage warning, that ringing in your ears after a loud show or rehearsal means that you're losing little bits of your hearing. 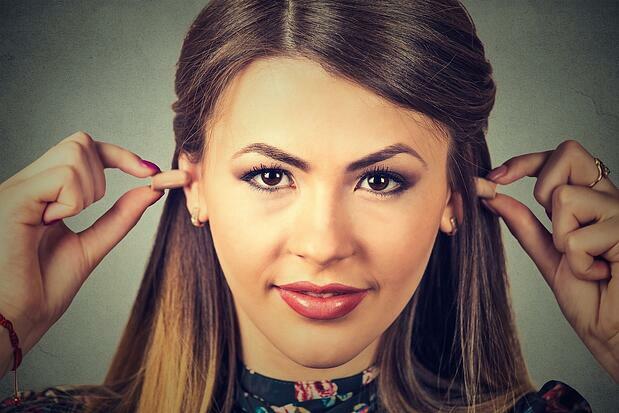 Your ears aren't a renewable resource; you only get two. And your ears were evolved to suit cave people 40,000 years ago who never heard anything louder than the trumpet of mastodons… at least not up close. As musicians, we're bombarded with loud sounds in the studio and in life. If you’re running a lawnmower or a snowblower, you can use industrial hearing protection (those tortoiseshell headphones that look suited for radio work) or stuff some tissue paper in your ears. But when you’re playing, you need to be able to hear everything. You just need to hear everything…less. Here are some of the best ways to do it. This product retails for $25.99, and unlike some other “custom” products, you customize these yourself. By heating them in boiling water and molding them to your ears (after the plastic cools – would you rather have ear damage from loud noises or from second-degree burns?) you can create a lasting custom fit. And these surely do reduce sound. They advertise as suitable for shooting sports, and claim to chop off a hearty 31 decibels of sound. That’s enough to turn a jet turbine into coffee shop conversation, or to stand next to the stacks at a My Bloody Valentine concert. And for just over $25, the price is right. At just $14.99 on sale, these basic stick-'em-in-your-ears-and-go earplugs come equipped with “music filters” for better fidelity. The decibel reduction level varies from 14 to 22 dB, depending on which included filter you use. There are variations in protection based on the frequency of sound in your environment. These units don’t shun midrange quite as well as lows and highs, so you might still not want to walk right up on that Marshall stack. And with 22 dB of reduction, you’ll also want to avoid firearms or jet engines. 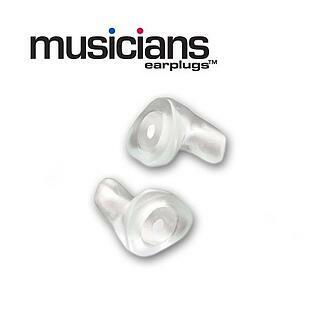 But for a plug-and-play solution that’s in almost everyone’s price range, these earplugs are hard to beat. Alpine's Pro set, for about $29 at regular price, offers three interchangeable plugs standard, with different levels of protection. 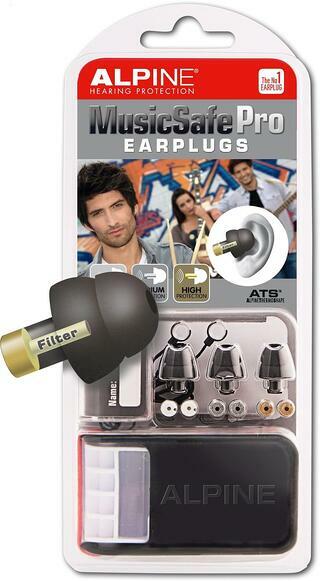 This set also gives you more sound reduction, hence more ear safety. At less than $30, that’s not a bad deal, and one of the Alpines will most likely suit the needs of the average working musician. If you’re looking for the Cadillac earplug plan, or you’re flush with some record label’s advance money, it’s time to look at Musicians Earplugs by Etymotic. Their corporate communications boast that these have the “highest fidelity of any earplugs available.” They’re available only from hearing professionals and are custom-made for your ears, so you’ll need a visit to the specialist to get fitted. Plus, get this: there are six different models tuned for different instruments. Whether you play lap steel or French horn, there’s an Etymotic for you, and it’s been tuned to deal with the sound of your own instrument and others likely to be in your proximity. 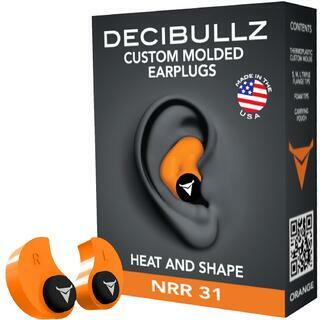 And each set comes with three different plugs to offer different levels of protection, at 9, 15, and 25 dB. Of course, you’re likely wondering what the cost of such a set would be, and the corporate website doesn’t specify, probably because their medical partners’ fees vary. But I got a set made (and loved them) and got into it for almost $400. For that price, you’d better make sure to keep them in the case so they don’t get lost. Of course, if you play for a living, your ears are worth it. Remember, Taylor Swift insured her legs for $40 million (this is a rumor that's probably not true). If your music is making you more like $400 a month instead of per day or hour, Etymotic does have another option for you: these ETY high-fidelity standard plugs. 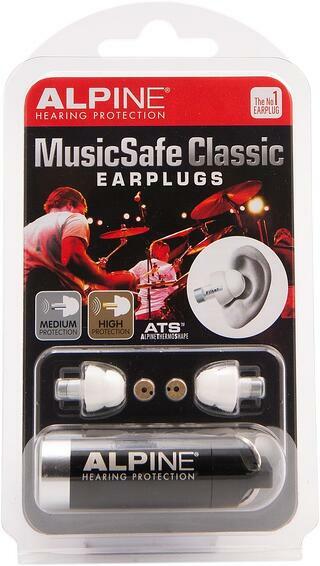 They’ll give you a 20 dB reduction, with flat-frequency response, for only $12.95. Those among you who love to save money are probably wondering about those disposable foam earplugs that people in machine shops and at landscaping companies buy in bulk. For the price of any of these entry-level plugs, you could have dozens of pairs of these disposables. While these plugs might be better than bare ears, they generally don’t advertise any particular level of sound reduction, and fidelity could be an issue. So for musicians, save those foam plugs for when you’re using a radial arm saw to cut plywood for a new speaker cabinet. When you’re playing music at any level, use the real thing, something made for musicians. The starting cost is so low, there’s no excuse not to. And your ears will reward you with decades more of being able to hear what you’re playing.